The construction of the camp commenced in the Podgorze area immediately after the deportations from the Krakow ghetto on 28 October 1942. There were two Jewish cemeteries on the chosen territory located next to each other. The first, established in 1887, belonged to the community of Podgorze; the other was a newly established cemetery belonging to the Jewish community of Krakow. The entrance to the Podgorze cemetery was from Jerozolimska Street. The cemetery for the Krakow community was established in 1932, when there were no further burial places available in the cemetery at Miodowa Street. Its entrance was from Abraham Street, where there stood a beautiful Ohel (a pre- funeral home), built in the Byzantine style, designed by the architect Siodmak and opened in the same year, 1932. The building site of the camp included both cemeteries and was approximately 25 acres in size. 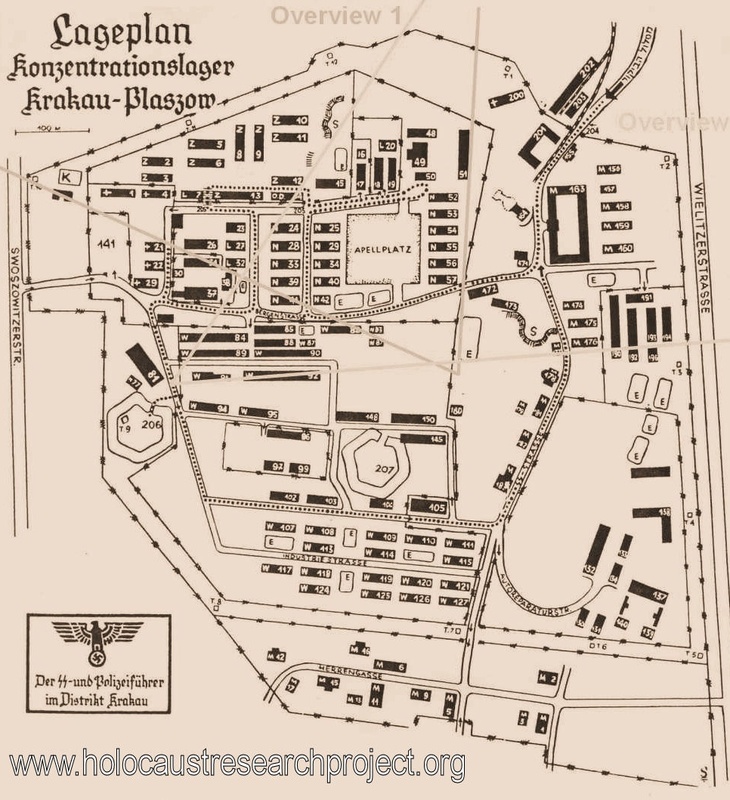 Originally the camp was planned for 2,000-4,000 prisoners, mostly Jews from the Krakow ghetto. The terrain was very uneven, hilly, filled with stones, and for a large part marshy. Construction of the camp required the enormous task of relocating many cubic yards of dirt and demanded significant engineering ingenuity. The area required many barracks for living quarters and industrial activities, as well as roads, and water and sewer services, all of which had to be operational in order to house the rapidly increasing number of prisoners. A group named Barrackenbau was created after 28 October 1942, which marked the second deportation action in the Krakow ghetto. Jews in this working group left the ghetto every morning under armed guard and returned to the ghetto in the evening. From the beginning their situation was desperate. The prisoners were often kept overnight in the unfinished barracks, without light or sanitary facilities. This group was located in Liban, an abandoned limestone quarry in proximity to the camp, where a prison was established some time later. One of the first tasks assigned to the prisoners was the levelling of the cemeteries. The headstones from the graves were removed and used as paving in front of the offices and residences belonging to German officers. Bodies uncovered during the destruction of the cemetery were removed and thrown into mass graves. Most of the work had to be performed very quickly; prisoners ran, whilst the SS shouted, screamed orders, and threatened to shoot them. The camp was constantly being enlarged – the population continually grew as prisoners were brought to Plaszow from the closed ghettos in smaller towns and cities around Krakow. Later transports arrived from the eastern region of Malopolska, Slovakia and Hungary. The number of barracks also increased. Ultimately the territory of the camp covered roughly 197 acres, with about 180 barracks for living quarters and industrial activities. At its height the camp’s population was approximately 25,000 prisoners. The enlarged area of the camp was surrounded by Szwoszowicka Street to the west, Wielicka Street to the east, and Panska Street to the south. The barbed wire fencing was in two rows, was 4km long, and between the rows of double fencing was a 5 metre-wide corridor for the guards to patrol. 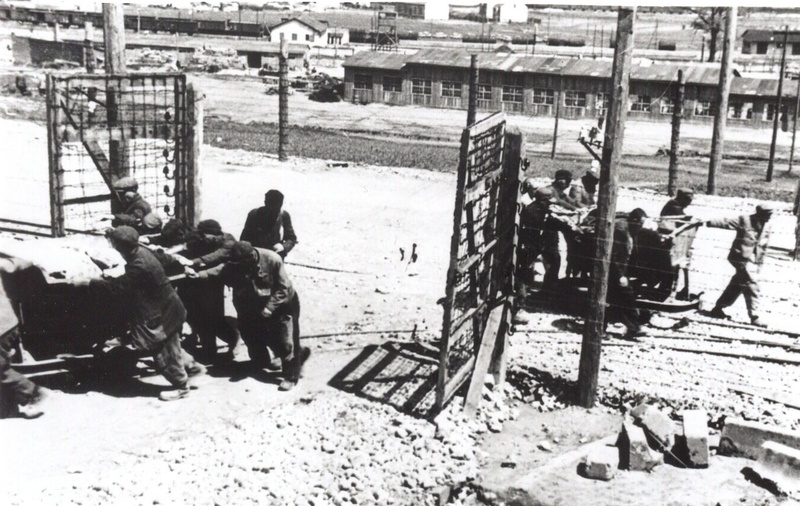 Sections of the camp were separated from each other – living quarters for men, living quarters for women, industrial, storage sections, living quarters for the guards, the camp’s headquarters and others. The prisoners were only permitted in their allocated section, or in those for which they had passes. The northwest parts of the site housed the sanitary facilities. Baths, latrines, the delousing station and other structures were built on top of the levelled cemetery and headstone remnants. Further to the south were the living quarters for women and men. They were situated around a wide plateau, which was used as a roll-call square. At the beginning of 1944 several barracks were designated for Polish prisoners, and later these were also fenced with barbed wire. At the intersection of SS-Strasse and Bergstrasse, which was the main road of the camp, was a small quarry, where construction stone was processed. This was also the starting point of a small railroad. This particular place, near the Grey House and close to the Camp commandant’s villa, was a site which saw many deaths and much suffering. This was the place where female Jewish and Polish prisoners pulled extremely heavy carts filled with rocks uphill on SS- Strasse by rope. The railroad was called Mannschaftzug. There were 35 women harnessed on each side of the cart. The allotted time was 55 minutes for each trip, and they had to make 12 trips in the 12 hour workday. In the industrial part of the camp there were craft and production shops working for the needs of the German army and various other German organisations in Krakow. Beside clothing manufacture – producing army uniforms - the industrial part of the camp included workshops such as locksmiths, carpentry, upholstery, car repair, electrical, furrier, tailoring, cobblers, papermaking and a print-shop. Because of his organisational talents, after being drafted into the Wehrmacht in 1940, Madritsch was invited to become a purchasing agent for the Wehrmacht in the General –Government. He was also appointed a ‘Trust Administrator’ of two textile plants in Krakow. New edicts were being announced with monotonous regularity. Jews were only allowed to work in armament industries and even this was intended merely to be for the short term. The Jews were to be replaced by ‘Aryan’ workers in due course. It was this edict that brought Schindler and Madritsch together to a conference with the Judenrat labour office to discuss the situation. Since from around the beginning of 1942, the demand for manpower from any source was overwhelming, no German company had to be coerced into taking on labour. On the contrary, the firms had to use their influence and persuasion to get all the help they felt they needed. 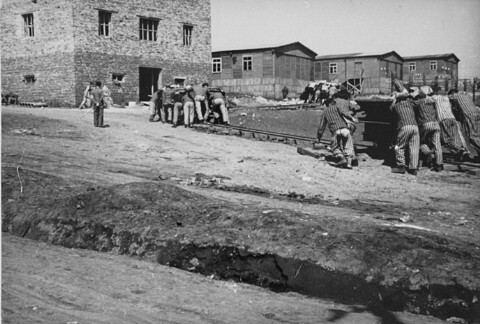 The private companies were to pour millions of marks into the coffers of the SS for the privilege of using the camp inmates. An elaborate accounting system was created to ensure that companies paid the SS for every hour of skilled and unskilled labour and that deductions for food provided by the companies did not exceed the maximum permitted. 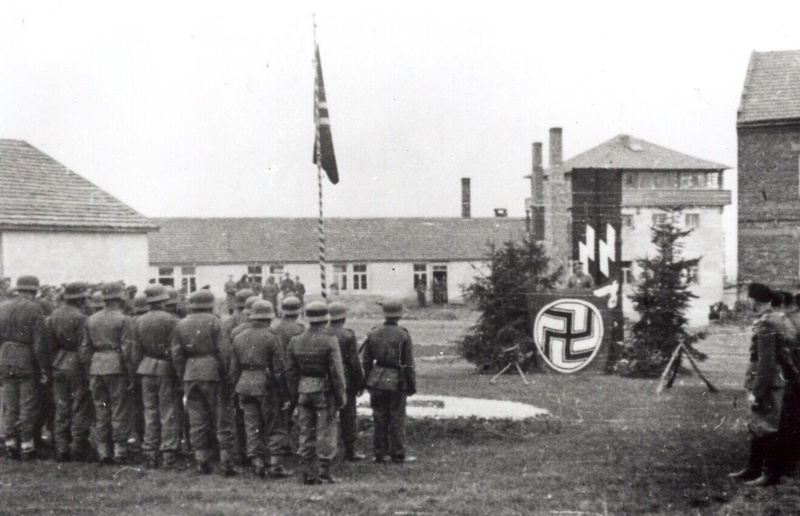 The inmates of course received nothing – they remained under the control of the SS, but under the immediate supervision of the companies that utilised them. Madritsch was authorised to move his factories to Plaszow on 14 September 1942, but it was only when the Krakow ghetto was liquidated on 13 – 14 March 1943 that Madritsch and his right-hand man, Raimund Titsch, achieved this. 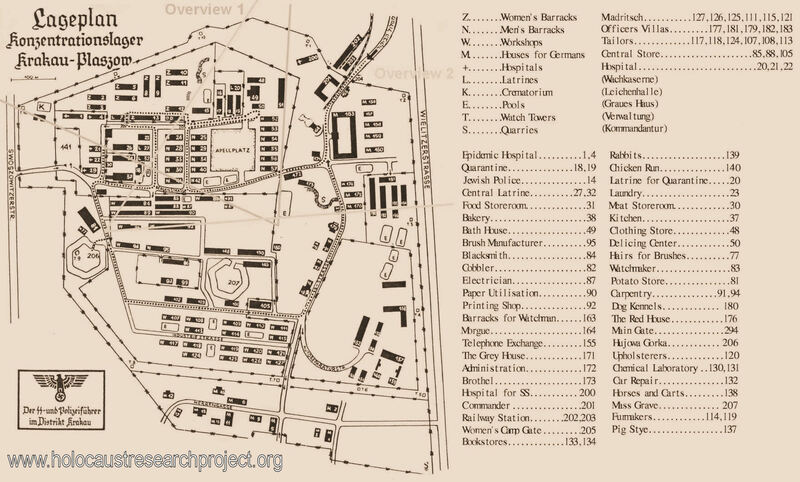 Madritsch and Titsch were able to establish sewing workshops in five barracks within Plaszow forced labour camp, and to open two further factories in Tarnow and Bochnia. In October 1939, Oskar Schindler established his own factory in a run-down former Jewish enamel works at 4 Lipowa Street, assisted by Itzhak Stern, a clever Jewish accountant. In 1942, 370 Jews were employed along with 430 Polish workers. When the Krakow ghetto was liquidated in March 1943, Jews were either sent to Auschwitz concentration camp, to Plaszow, or were killed on the spot. Schindler took advantage of his good relations with Amon Göth, one of the liquidators of the ghetto in Krakow, and the commandant of Plaszow forced labour camp, to arrange for workers from Plaszow to work in his factory. There he employed around 900 workers, most of them Jewish, who had no previous experience of this type of work. 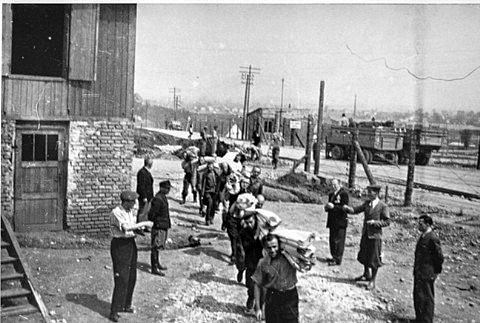 When the ghetto was liquidated and the inhabitants were forced into Plaszow labour camp, the Jews who worked at Emalia every day had to march the four kilometres from Plaszow to the factory, and then back again at night. 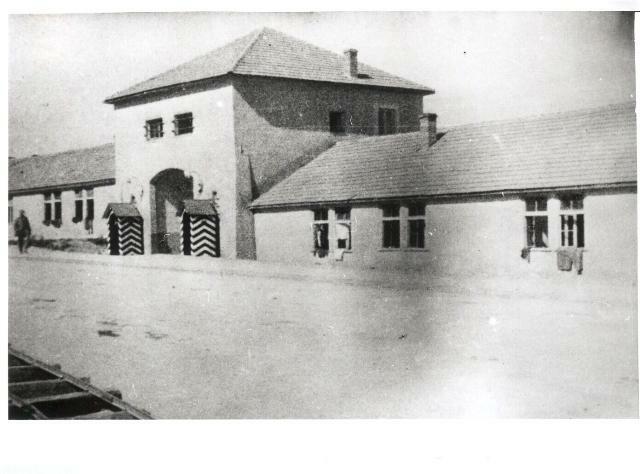 Schindler had the idea to build barracks at the back of his factory, which he did, and in November 1943 was allowed to move his workers from Plaszow to the Emalia barracks. In October 1944 with the approach of Russian forces, Schindler was granted permission to re-establish his firm as an armaments production company in Brunnlitz, in the then Sudetenland. 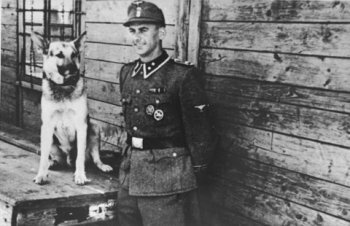 He was able to save approximately 1,100 Jews from almost certain death in the gas chambers of Auschwitz. The first commandant of Plaszow was SS-Unterscarführer Horst Pilarzik, followed by SS-Oberscharführer Franz Müller. 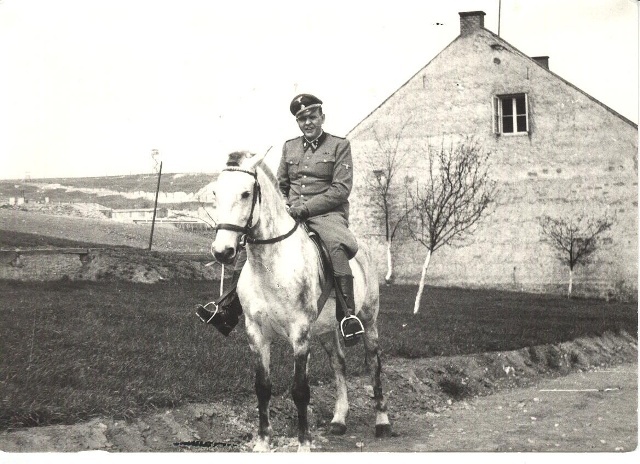 Amon Leopold Göth (who before his transfer to Plaszow was one of the SS officers in Globocniks`s headquarters in Lublin) took over from Müller in February 1943, until Göth was arrested by the SS on 13 September 1944 for fraud. 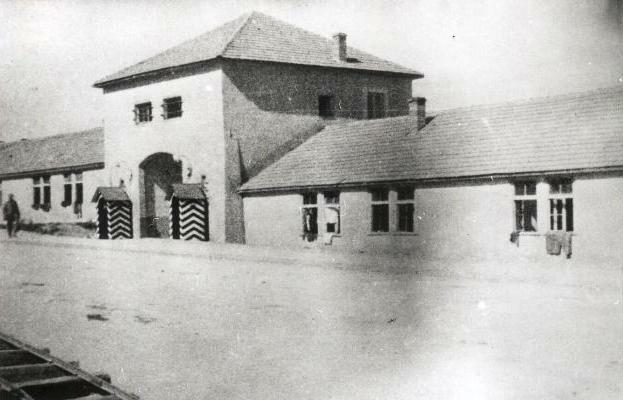 Other notable SS men employed in Plaszow were Kunde, Hujar, John, Zdrojewski, Landesdorfer, Eckert and Glazar, who lived in the Grey House, near the commandant’s villa. “Göth ordered his deputy to start beating us. He went away to have his lunch. We were then taken to the back, next to the house he lived in. Two tables were brought, also buckets of water and they started beating us directly on our naked flesh. Göth ordered that everyone should receive 100 strokes each, but everyone received more than 200 and even 300. Every prisoner had to count each stroke loudly. If a mistake was made in the count by him, the beating started afresh from number one. We were not beaten by one person, they were taking turns, as one man would tire very quickly, having to hit someone 100 times with his full strength. The whip would be passed to another SS man there. It was impossible being hit so many times, to count properly, people were making mistakes, and the beatings were starting afresh. And so the beatings went on and on, the tables were covered in blood, as every hit meant a fresh cut in someone’s flesh. As anyone left the table, he was virtually one bloody mass of cut flesh. Everyone getting off the table was ordered to report, standing to attention: `I report humbly that I have received my sentence.’ In the course of all this, one man screamed terribly. Göth shouted at him to calm down, to count. The man did not calm down. Göth approached him, picked up half a brick off the ground, went to the table on which the man was being beaten and from a very close distance struck him on the head with the brick, splitting his head. The beating of that man continued uninterrupted, then the pouring of water and beating again. Covered in blood, with a split head, he went off the table, and approaching Göth, he reported he had received his penalty. He was ordered to go away, and as the man turned, Göth pulled out his revolver, firing it into the back of the man’s head. The man who was killed in this fashion was a Mr Meitlis according to testimony from Henryk Mandel. On the last Sunday in December 1943, a high-powered inspection team, led by SS- Obergruppenführer Krüger arrived at the camp. Together with Göth, the inspection team toured the camp. 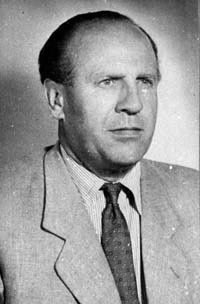 As the tour commenced there was a black-out, Oskar Schindler had arranged for the electricity to be cut, so as to mask any deficiencies in his workshops. In January 1944 Plaszow was designated a ‘Konzentrationlager’ under the central authority of SS-Obergruppenführer Pohl’s Main Economic and Administrative Office, in Oranienburg. 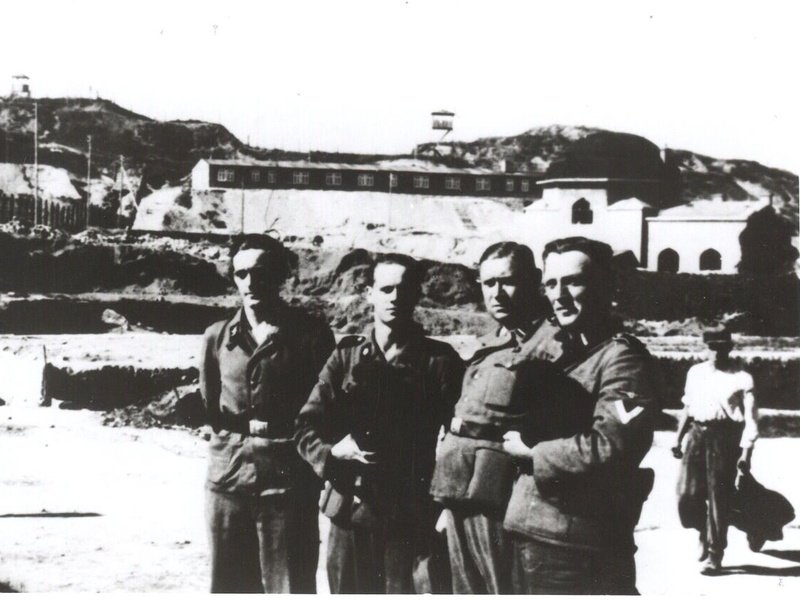 In March 1944, some of the SS staff from the concentration camp at Majdanek in Lublin were transferred to KL Plaszow, among them SS doctor Max Blancke (who had been very active during selections in KL Lublin), and some of the female overseers. Together with them a small group of Jewish prisoners who were deported to Majdanek after the “Erntefest” operation were also evacuated to Plaszow. 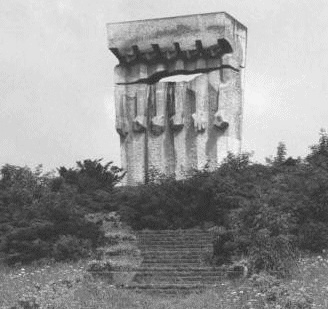 At the beginning of 1944, building materials were brought to Plaszow for the construction of a crematorium and gas chambers. However, because of the costs involved and the proximity of the gas chambers in Auschwitz, the construction was probably deemed uneconomic and was never completed. In order to accommodate several thousand Hungarian Jews, Göth requested that a cull needed to take place in Plaszow, and Glücks, SS-General and Inspector of Concentration Camps, agreed. Under the code name ‘Die Gesundheitaktion’ (the Health Action) Göth set about clearing space to make way for the anticipated 10,000 Hungarian Jews. The selections began on the morning of 7 May 1944. On the Appellplatz, row upon row of prisoners, in barrack formation, stood silent and bewildered. Block by block they were marched to the reception area. Ordered to strip naked, as each name was called out, the prisoner presented him or herself to the examining teams of doctors headed by the SS Dr Blancke. The women had to line up and walk forward, one by one, and jump over a series of large holes that had been especially dug to test their levels of fitness – and therefore their right to survive. Prisoners were made to run up and down in front of the examiners. Some women, who were suffering from chronic diarrhoea, rubbed red cabbage leaves into their cheeks to give them colour During the course of the ‘Aktion’ 286 children were rounded up and kept penned in a separate compound. Parents seeing their children separated and confined began to wail and scream for their loved ones. There was panic and pandemonium everywhere. Whole families were separated in this selection, some to the left, and some to the right. Certain children, the urchins of the camp, had their hiding places already prepared; even so, when they dived for cover they would find that their hiding place had been taken by someone else, and they ran in frantic search of another sanctuary. On 14 May, everyone knew their fate; those selected for transport marched to the waiting wagons now standing on the spur line that ran into the camp. During the course of the ‘aktion’ dance tunes and lively music were broadcast over the loudspeakers, providing a musical background for the sick and young children, who were being sent to the gas chambers of Auschwitz. As they marched to the wagons, the radio technicians with their sense of Germanic humour could be heard singing the German lullaby ‘Goodnight Mama’. 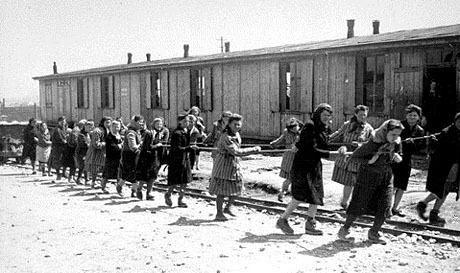 Approximately 1,400 Jews were sent to Auschwitz on 14 May and were gassed the same day. The camp also became a place of mass execution for political prisoners and civilians from Krakow. The condemned were brought in covered lorries, sometimes from the prison on Montelupich Street, or from the SS quarters on Pomorska Street. The approximate number of people executed is 8,000. The executions took place outside of the camp’s fences on two small hills, the remnants of old Austrian ramparts. Lorries arrived 3-4 times weekly, generally early in the morning. Under orders from an SS officer, the condemned prisoners jumped out of the lorries, disrobed, walked into a trench and laid on the ground. Here they were shot and their bodies were covered with sand and earth. From the beginning of 1944, the bodies of the executed prisoners were exhumed and burnt at Hujowa Gorka, on wooden platforms. Witnesses claim that 17 truckloads of human ashes were removed from the cremation site, and that the ashes were probably scattered over the camp area. During July and August 1944 transports of prisoners left Plaszow for Auschwitz, Stutthof, Flossenbürg, Mauthausen and other concentration camps. On 13 September 1944 Göth was arrested by the SS-und Polizeigericht Vl in Krakow. He was accused of misappropriating valuables and property from Jews during ghetto liquidations. 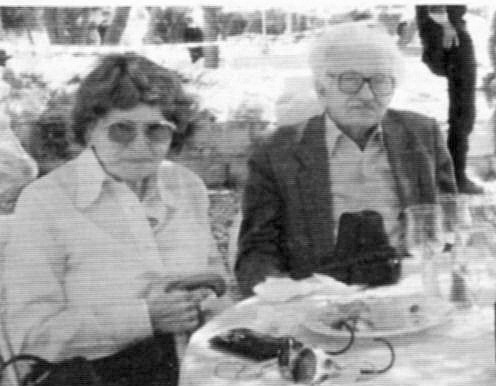 His assistant, the Camp Elder Chilowicz, was the director of the camp’s Jewish Order Service, and had helped him amass stolen valuables and property. As the liquidation of the camp drew near Göth arranged for Chilowicz and his family to escape, but during the escape attempt, on Göth’s orders, the whole family was shot. On 14 January 1945, one day before the liberation of Krakow by the Russians, the last prisoners – 178 women and 2 boys - were sent to Auschwitz.